Tom Goodrich was sitting in an Army tent in sweltering, dusty Afghanistan, typing an e-mail to his family when he got a message from God. It was a feeling in his head and his heart that he didn’t understand at first. Something about 10,000 kids. At the time, the Army captain was writing a book for his son and thought, “Cool — 10,000 kids will read this book.” He meditated on it; God elaborated. Goodrich discerned that he was supposed to go home and motivate 10,000 kids to raise money for the inner city. Today, Fishing for Life runs several fundraising events throughout the year. Infrasupport is involved with the Holes for Heroes event on the first Saturday every February. KKMS (AM 980) Radio interview, broadcasting live over the Internet from a frozen lake in Minnesota. Infrasupport firewall and portable LAN equipment on the table in the background. 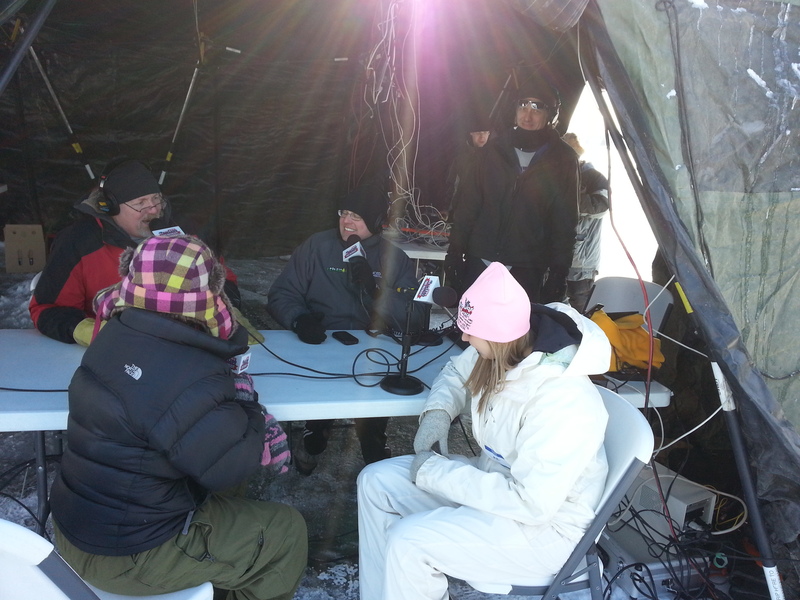 At Holes for Heroes, Infrasupport partners with Nextera Telecom to set up a complete portable LAN connecting KKMS Radio, one or more video streams, and live 2-way video family meetings over the Internet. Nextera provides a wireless Internet connection to the site. Infrasupport provides a firewall with QOS, WiLAN Access Point with controller, and other equipment to build out a portable LAN. Holes for Heroes is growing in popularity and attracting local TV coverage. Here is a page with a video and pictures from the 2014 event. Here is a piece from WCCO TV in Minneapolis from the 2013 event. Here is a WCCO TV piece from the 2012 event. Overheating equipment has never been a problem at Holes 4 Heroes! Contact us if you want to help out with any Fishing for Life events or if you want to donate. We will put you in touch with the right people. 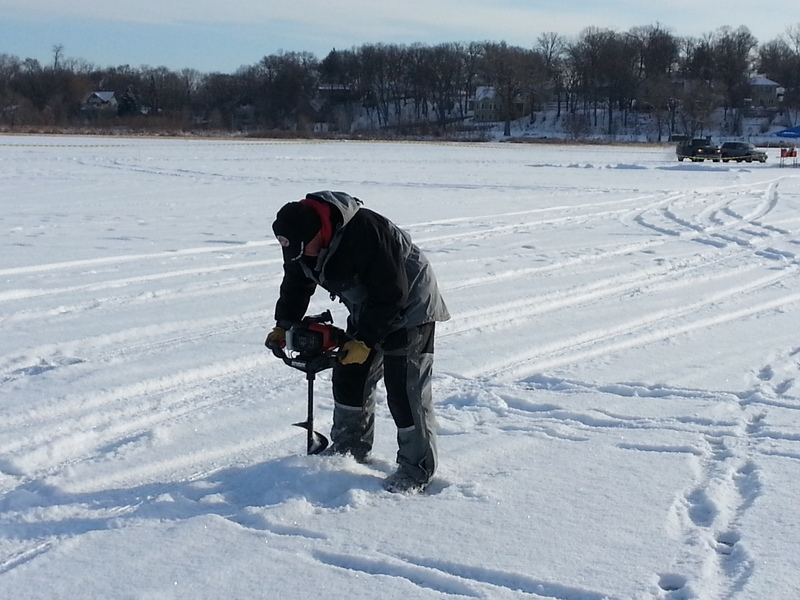 How to make fishing holes on a frozen lake in Minnesota.